A lift chair is a recliner with an electric motor that slowly lifts the seat and back of the lift chair to assist an individual sitting to come to a standing position. The lift chair will also aid the person from the standing position to a seated position by slowly lowering the lift chair from it's fully extended position to the normal sitting position. The user operates the lift chair by pressing on a remote rather than having to manually use a lever or switch. 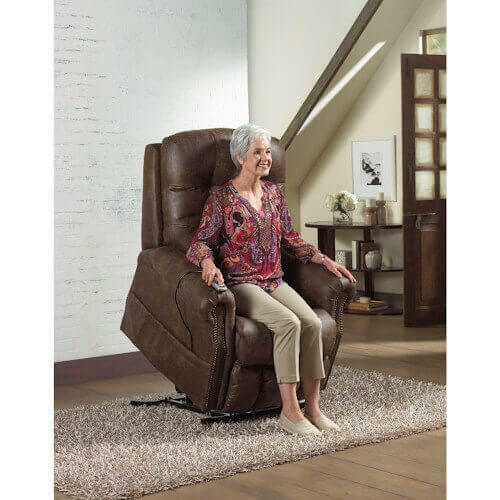 The lift chair will also work like a normal recliner, allowing the lift chair back to recline, sometimes to a completely flat position, offering the option to be used for light napping in a stretched out position. Each lift chair has it's own unique features and you should discuss with your salesperson which features would be beneficial to your situation. WHAT OPTIONS ARE AVAILABLE IN A LIFT CHAIR? 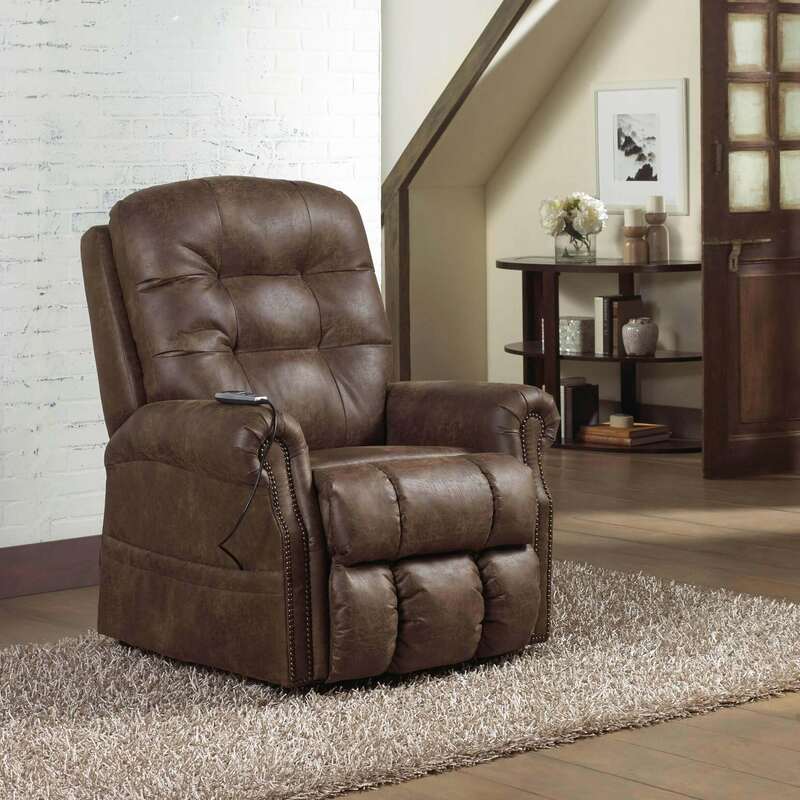 Lift chairs are available in a variety of styles sizes and fabrics, including leather options. All of our lift chairs are electric for a smooth operation of lifting and lowering. Some lift chairs offer massage and heat. WHO BENEFITS FROM A LIFT CHAIR? Any individual who might need assistance getting in or out of a chair, due to limited mobility, can benefit from a lift chair, even those who might need temporary assistance following an injury or surgery.